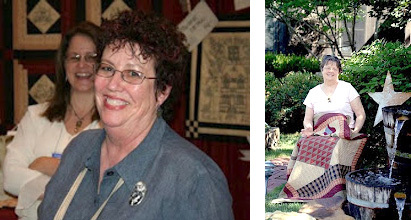 The Fat Quarter Shop is excited to welcome Jan Patek of Brannock & Patek to the Jolly Jabber. 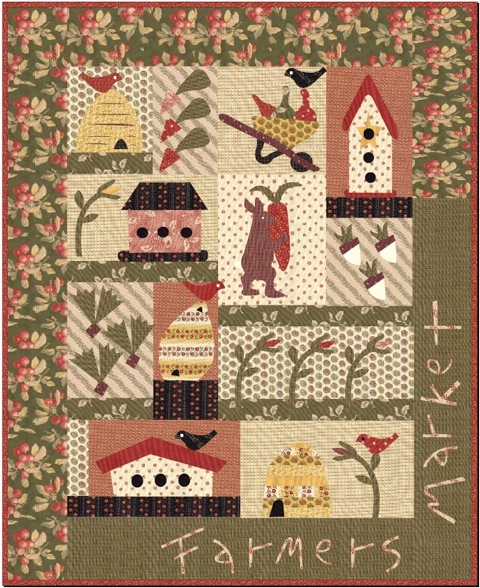 Brannock & Patek’s latest fabric collection is Farmer's Market from Moda Fabrics. 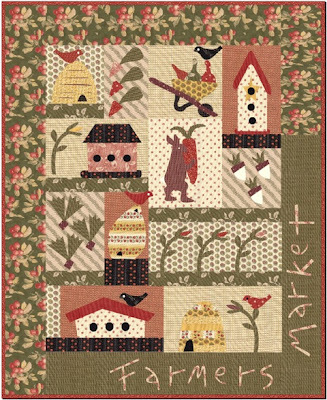 Q: What was the first seed that grew into the Farmer's Market collection? 1. 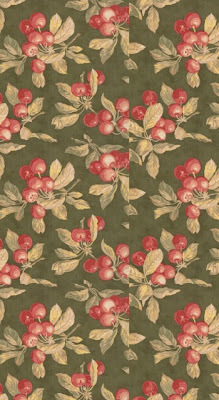 An antique tablecloth Linda found with lots of fruit in soft, country colors. 2. 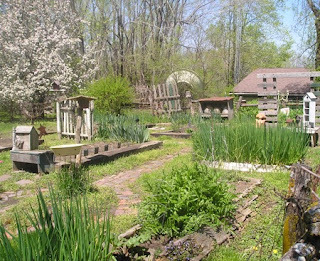 Our gardens - below is mine - complete with apple trees. The cherry trees are by the front drive. 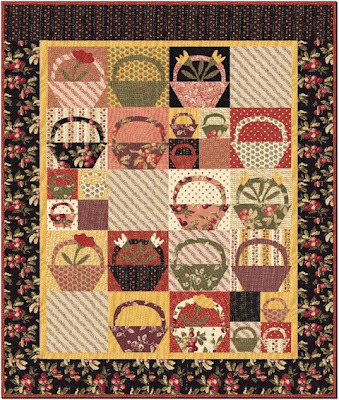 A: 2080-14; The soft greens, reds and golds just say gardens, produce and sumptuousness. and the Farmer's Market Block of the Month. 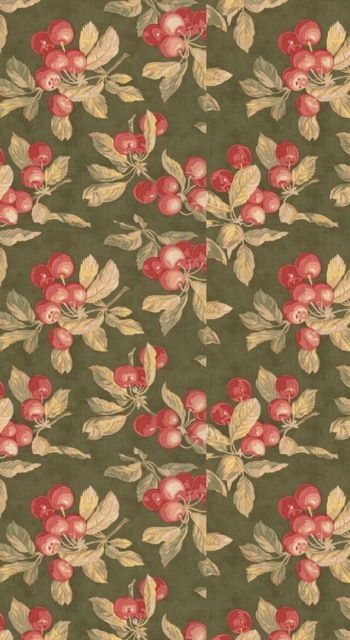 A: Apple or cherry blossom. 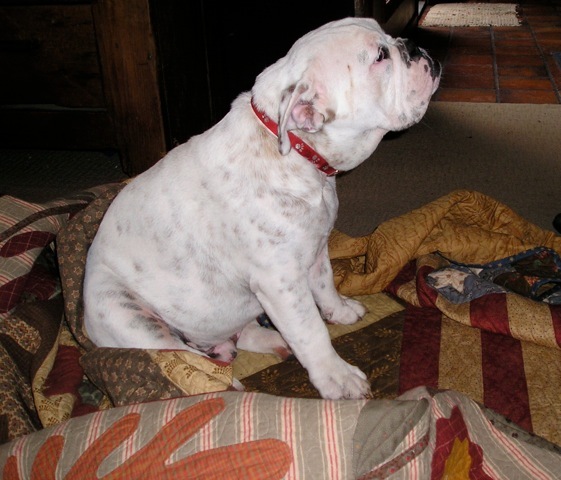 A: My mascot is Spike - my bulldog - who loves sitting on quilts - something he doesn't get to do very often at all. A: Sandy Gervais because she's so versatile.